Home > News > Why Do We See Long Single Queues in Shops? We love a queue in the UK; we somehow pride ourselves above all other nations at our ability to wait in line and to follow queue etiquette. It’s almost a British institution. The only thing we love more than a queue is complaining about a queue. Take a quick look at #VeryBritishProblems and you’ll see just what I mean. There are two main queue techniques that retailers follow – multiple separate lines going to separate tills, or one long single line going to multiple tills. In this article we take a look at both approaches and the human psychology involved, and consider the techniques retailers use to manage queues and waiting times within their own stores. The multiple line queue refers to where customers wait in separate lines for separate cashiers. The single queue, also known as the serpentine queue, is where there is one single line for a row of cashiers. The line usually snakes round towards the tills, and when customers reach the front of the queue they go to the next available cashier. The multiple line queue used to be very popular and is still commonly used in supermarkets. With this approach the queues are visually shorter which can appeal to shoppers. However when a shopper enters the queue area they must make a judgement on which line to join. And this then can lead to stress and frustration when the selected queue moves slower than a neighbouring queue. In the supermarket scenario a shopper will make their choice based on multiple factors, such as looking at the other customers in the line and the amount of shopping they need to check out, and perhaps their age or physical ability – do they look like they will pack their goods and pay quickly? What about the cashier, do they look like they will scan products efficiently or do they frequently stop to chat? Did we say anything about creating more shopping opportunities? But even with the best judgement in the world, you can never anticipate the shopper that then whips out coupons and a handful of pennies to count out to pay for their bill, stalling your progress in your own queue while you watch shoppers in other queues check out with ease. The post office used to use the multiple line queue and I am sure we have all experienced the following scenario ourselves: You select the shortest line only to be stuck in the queue behind someone trying to resolve a complex issue, while the customers in the line next to you get seen at their counter with speed, including customers that arrived after you did. The frustration that this type of queue system can cause has led to many retailers using the serpentine queue as an alternative. The serpentine is one long snaking queue. Its disadvantage is that it is just one long queue, some shoppers may see the queue and change their mind about making their purchase (called balking). However, because shoppers queue for multiple cashiers the line usually progresses quite quickly. Did we say the shopping continues? The ‘snaking’ technique of the serpentine queue performs two roles. The first is that it means the queue area can be contained in a smaller, more manageable area than one long straight line of customers backing up across the shop floor. In addition, the snaking technique gives customers a sense of progress as they move down one way and then back along the next. It effectively breaks the waiting time down in to chunks which is easier for shoppers to accept. We see the serpentine queue used a lot throughout airports and also in large fashion retailers such as Marks and Spencer. Perhaps the guru of the serpentine queue and managing customers in long wait times is Disney. At Disney amusement parks, families may queue upwards of an hour during busy times for a ride lasting perhaps just five minutes. To manage this otherwise potentially unacceptable situation, Disney has made the queue part of the ride itself. As soon as you join the queue there are characters to look at and animations to watch. These things serve to keep families occupied whilst waiting in line and increases their tolerance of long waiting times, and reduces their chances of leaving the line (called reneging). Other retailers take a similar approach. Retailers may have screens for people to watch as they queue, or as we see very often in fashion retailers, small impulse purchase items to look at and buy as the queue snakes along. The key seems not so much the time customers have to wait but managing that wait by giving customers something to do. If we were being clever... We would say "More than a Queue!" - And why not use this opportunity of a long queue to give the customer something else to think about? Primark is an example of a retailer where the queue area includes lots of small products for customers to look at while they wait. Distraction increases shoppers’ tolerance for waiting, and by showing adverts or offering products along the line a retailer can actually increase sales. It is important that the distraction should compliment the service of the retailer, i.e. the adverts or products should be relevant to the store and to the customers. 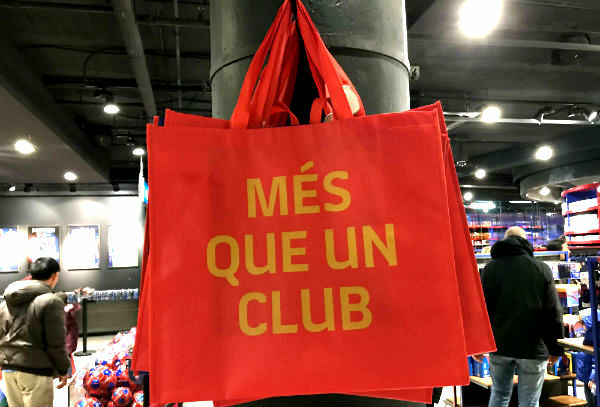 Success on the field, success in the commercial arena and it should be no surprise that the Barcelona Football Club have given some thought to queuing! A serpentine queue can reduce stress for shoppers and the perceived unfairness of people in other lines getting seen more quickly. Barriers that snake customers along give a sense of progress along the queue. Providing entertainment or distractions minimises frustrations of waiting and reduces the chance of people leaving the queue without making a purchase. Ultimately, it is less about the length of the queue, and more about how retailers manage the queue so that shoppers leave happy. Richard Larson, a professor who studies queuing theory at MIT, and known in the industry as ‘Dr Queue’, reports that if there are no problems then both queue systems will progress at about the same mean speed. But there is more variance within the multiple line system - if there are no problems you may get seen quicker than the serpentine system, but should a problem occur in front of you, then the multiple line will take a lot longer. 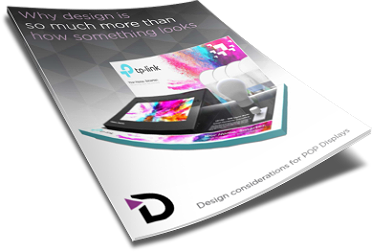 POP DESIGN IS NOT JUST HOW IT LOOKS!